1984forever wrote: Another Skrapnel release? He’s warming the pegs at every Target I’ve been to. Maybe Hasbro should put out more figures per wave? The photos are for the Release. Skrapnel is part of the October assortment for PotP in Japan. As far as I know, Legends Class Skrapnel is not part of any wave 3 or 4 legends repack waves being released in North America, so he's not getting another release here. I'll feel a lot better once more Power of the Primes product is put up on HasbroToyShop, at least. I'm very lucky to have already found most of what I need for Wave 2, but I'm still short the ever elusive Wave 2 Prime Masters. I also want to get another copy of Elita One. Unfortunately, because of it's nature (being more of a wholesale outlet than a place to purchase new release toys) there are no guarantees with HTS. They never got TR Wave 5 Deluxe, and some (like TR Ramhorn), were available on a one time basis, and sold out in a couple hours. I still need Sludge & Snarl (tried to nab the short packed wave 2 figs first, the couple times spotted them) , and yes the Prime Masters as well. I see more and more comments about how Studio Series seems to be clogging up shelves and taking space away from PotP. I've been told this isn't true or correct, but the more I see, I cant help but believe it. Yeah, it's too bad someone from Hasbro can't address the G2 elephant in the room. I mean, this IS a red Defensor torso and head. Someone there has to be thinking about G2 Defensor... and Guard City, for that matter. Was this intended for one of those and it just derailed on the way to the shelves? Or is something still cooking... maybe for a convention box set? 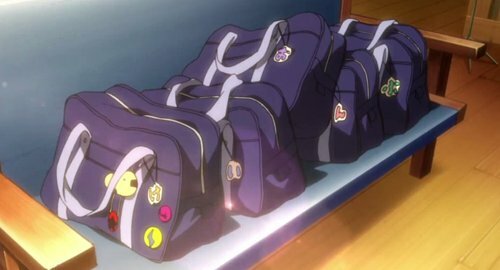 At least if they botch this one, we at least have the starting point for a custom. A head swap and bit of orange and teal paint will do the trick nicely... well, at least for 2/5 characters. The Inferno torso mode with the white chest and red legs looks very "Artfire" to me, can that really be a coincidence? They could have left it black, but really went out of their way to paint it white. There have been reports right here in the forum of people finding them at retail and this site does have a sightings section. They've at least trickled out to Walmart and Target. I've contributed to the sightings section before, but at least I'm honest about it. I know its out there, I just don't fully trust it. Heck there is a Blot sighting on there now. people make mistakes, or are just jerks and put in false info. If someone can show me a pic of wave 2 PM's purchased in the US with a Walmart or Target receipt next to it, then I'll know to be on the lookout. Rated X wrote: What a dissapointment on the inferno torso. Wanted a G2 defensor not another POS generic combiner. Somebody tell Hasbro they failed right there. Man you hit the nail square on the head there pard'ner. Combiner Wars was such a recycle machine my local vintage toy store swore off new Transformers toys for years. Wolfman Jake wrote: I'll feel a lot better once more Power of the Primes product is put up on HasbroToyShop, at least. I'm very lucky to have already found most of what I need for Wave 2, but I'm still short the ever elusive Wave 2 Prime Masters. I also want to get another copy of Elita One. Jake, are there no Kroger or affiliated grocery stores in the wolfy north? If you have any of these grocery chains in your area, they may very well have wave 2 Prime Masters. My local Kroger affiliate is Baker's, and I found them there. So, Inferno really doesn't look that bad. Not quite what I wanted, but not bad at all. I like the white on the torso, kinda of a surprise, and it looks good. His robot head is a bit derpy to me, but he follows the whole voyagers have their standard head and then a super mode of their head for combined mode thing going. He and Elita will look good with the Autobot limbs from this line, may be kind of hard to decide if I will have an Autobot combiner, and if so who will be the torso. I like Elita by herself with my Legendary figures shelf, but she wouldn't look bad next to Optimus Maximus either. Hasbro read my Hot Spot adventures with Titan masters, and this is how Inferno came to be. 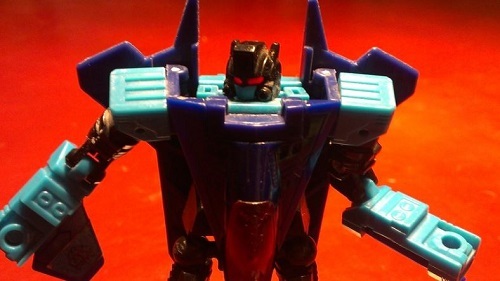 Black Hat wrote: Inferno will make a very good basis for the torso of a Nexus Prime custom. As Inferno himself though, nah. Hmm, you are right. Maybe I'll temporarily match some limbs to him to match Nexus. Same. I'm waiting on the deluxes and prime masters, and all the Walmarts near me are starting to put up those "temporarily out of stock" signs, while other stuff encroaches on the TF area. Emerje wrote: The Inferno torso mode with the white chest and red legs looks very "Artfire" to me, can that really be a coincidence? They could have left it black, but really went out of their way to paint it white. No Krogers or affiliates here in Minnesota, I'm afraid. All we have for grocery store chains are Cub, Lund's, Byerly's, Coborn, Rainbow (barely nowadays), and Aldi. D-Maximal_Primal wrote: So, Inferno really doesn't look that bad. Not quite what I wanted, but not bad at all. I like the white on the torso, kinda of a surprise, and it looks good. His robot head is a bit derpy to me, but he follows the whole voyagers have their standard head and then a super mode of their head for combined mode thing going. That's actually just Defensor's head from Combiner Wars/Unite Warriors, repainted. Only Inferno's robot mode head was actually retooled, unfortunately. o.supreme wrote: I've contributed to the sightings section before, but at least I'm honest about it. I know its out there, I just don't fully trust it. Heck there is a Blot sighting on there now. people make mistakes, or are just jerks and put in false info. If someone can show me a pic of wave 2 PM's purchased in the US with a Walmart or Target receipt next to it, then I'll know to be on the lookout. Cant's show you a receipt, but I purchased both wave 2 PM's at a Target in Michigan in March. Oh I know, I wrote some of the news articles about him. gothsaurus wrote: ...and Guard City, for that matter....A head swap and bit of orange and teal paint will do the trick nicely... well, at least for 2/5 characters. I was thinking this as soon as I saw Inferno in torso mode. 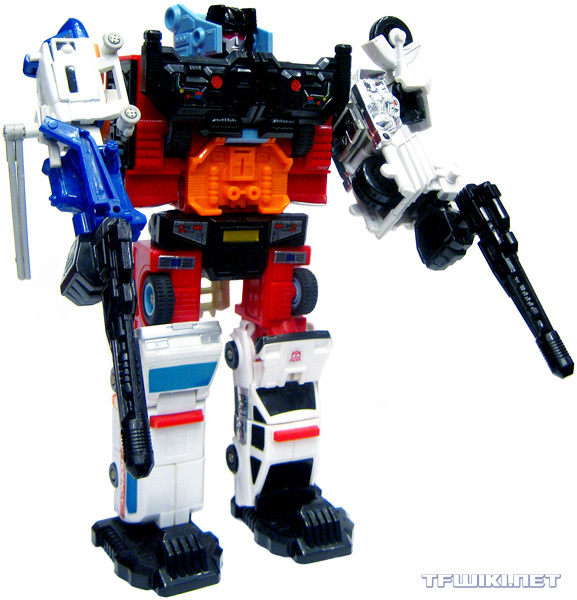 I was thinking of putting Combiner Wars Wreckgar on his chest to emulate the orange and blue paint. I just last weekend found Landmine and Submarauder at a Meijer. o.supreme wrote: I see more and more comments about how Studio Series seems to be clogging up shelves and taking space away from PotP. I've been told this isn't true or correct, but the more I see, I cant help but believe it. I see more and more comments about how having stricter gun laws wouldnt change anything in the US but anyone who can read stats and look at actual facts knows that's bogus. The truth is unless you have actual insight from Walmart, none of us know what is going on. What you describe is a current occurence with no hint of causality. the US skipped TLK wave 4 deluxes. Is it because of POTP wave 1? Is it because of the generations line that a fan was deprived of his precious cogman toy? Its all nonsense. If we just think logically though, the fact that they have different product SKUs makes the presence of one irrelevant over the presence of the other. And we are seeing a lack of wave 2 all across the globe, including Canada, a place which has a ton of shelf space at TRU. So instead, I think there is an issue at the supplier level, thats where logic is guiding me at the moment. Especially since Wave 3 Prime Masters have been found elsewhere in the world. Meaning stores are ordering more and Hasbro is giving what they have and it aint wave 2. Why, I dont know. I would like to clarify something about the nature of this Inferno figure. It is merely a holdover from the Combiner Wars line that didn't get to be released in that line, without any further changes made to its molding from how much of the Hot Spot mold was retooled to make it in the first place. Possibly barring one unique case, every single mass retail CW Voyager torso figure (including the reshells, or "partial tools" as Hasbro calls them) was made with a head pretool built-in along with the heads of their main uses, and each head pretool was only for the smaller robot form while each combiner form just kept the first version's combiner head. Ergo, this Inferno toy keeping Defensor's head is just following in suit with what it would have been like had Inferno gotten to see release in the CW line proper. * -- Scattershot also received newly-retooled wings as well, probably as a later decision once it was settled on his being released at all, so as to do him more right than just a straight head pretool of Silverbolt. ** -- Though whatever plans Hasbro may have had for the Menasor-headed combiner formed by Nemesis Prime are unknown, one possible idea that Fun Pub had for that combiner, before they had to change their plans and make the figure into Toxitron instead, was to make tha Menasor-headed combiner into "Unicronus", since Nemesis has pretty much become cemented as a Unicron-affiliated character in recent years. *** -- Pyra Magna was not Inferno's built-in pretool since she was the product of the fan built combiner poll, receiving many more unorthordox changes to make her version of the mold more distinct from that of Hot Spot/Inferno. **** -- As has been brought up here more than once, the Fun Pub-published prose story "Lively Pursuit" indicated that a possible combiner formed by Inferno as the torso was to have been called "Firestormer", whose limbs would have comprised of Hoist (a head pretool of CW Trailbreaker), Sideswipe (a straight redeco of CW Breakdown), Ratchet, and Bluestreak. ***** -- It is also entirely possible that Sky Lynx, being both the very last Voyager of the line and already a unique design in and of himself, was molded without any pretool built in from the get-go, with his mold only ever intended for use as Sky Lynx, as the Dezaras retool did admittedly come with four other CW figures who all received brand new sculpts that were different from their initially-built-in pretooled heads. So if this were to be the case, then the Sky Lynx mold would be an exception, rather than the norm, in its having lacked a designated head pretool from the beginning, being the only main line CW Voyager to lack such likely due to its both being a head-pretool-unfriendly design and the last new mold Voyager made for the line. I think a lot of this comes down to location. I live on the east coast of the US, which means stock has to make it all the way across the country before reaching me. From what I've seen, very limited batches of figures (wave 2 deluxe for example), will only make it as far as middle America or so before the sightings just stop. This is purely based on my personal observation, but is mostly consistent. I've seen very limited appearances of wave 2 voyagers and leaders, which are all gone now. Legends are fairly common, and deluxes and Prime Masters are non-existent. Coming from user Starshine on the Ozformers boards, we have an exciting sighting for all you Australian fans! 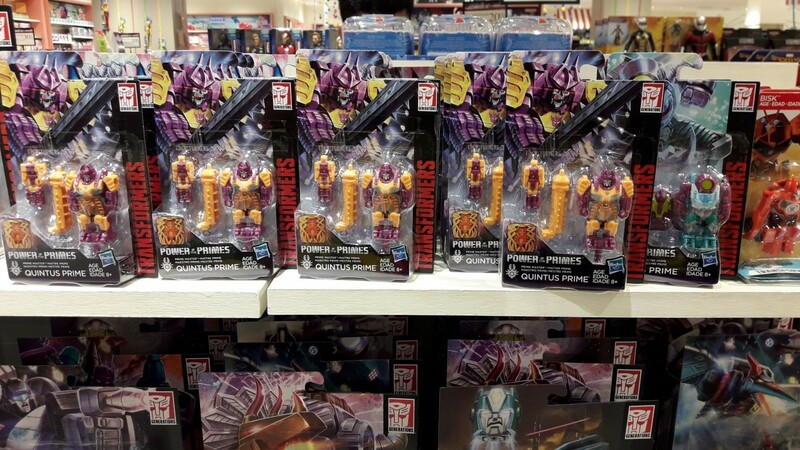 The long-awaited Wave 2 Voyagers from Power of the Primes appear to finally be making their way out to Australian retail. 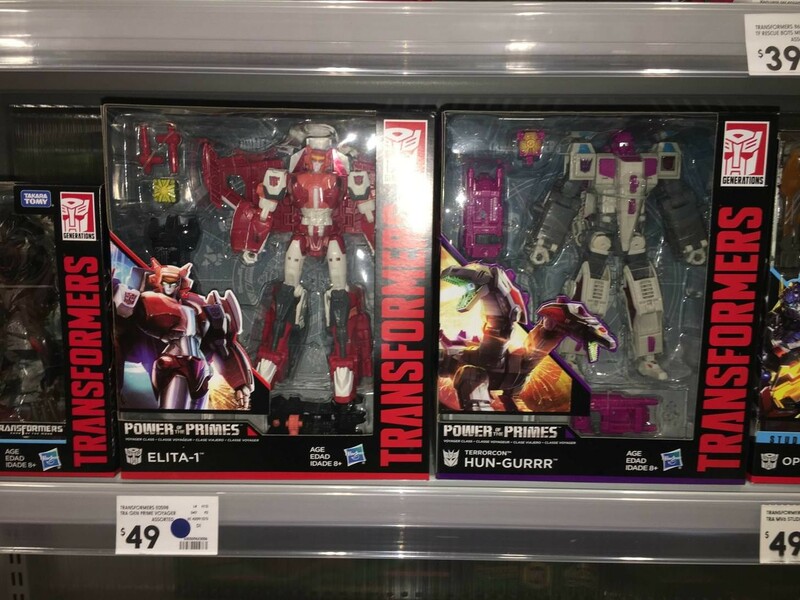 Elita-1 and Hun-Gurrr were found at a Kmart in Chatswood, Sydney. While it is only one sighting so far, hopefully this heralds the arrival of these two across the country in the coming weeks! So far, the only other Wave 2 size class to be found in Australia is the Legends class, who popped up in late April and have become increasingly common since then - only three more size classes to go! If you have a sighting of your own, why not share it with us by making a note in the sightings section and posting in the Energon Pub Forums? And while you're there, let us know if this news is exciting to you. Will you be heading out to look for these figures now that they've made their presence known? Best of luck to all you hunters out there, and don't forget to stay tuned to Seibertron.com for more Transformers news and sightings! Even if Inferno is a "holdover" from Combiner Wars that didn't see release until now, Hasbro still did a little bit to align this older mold with their newer design philosophy. Unlike any uses of the mold in Combiner Wars, Inferno sports the dreaded sticker details from the latter half of Titans Return and all of Power of the Primes to present. I suppose this was an extremely easy adjustment to make, unlike, say, remolding the figure to accommodate the Enigma of Combination play pattern of PotP Grimlock, Starscream, Elita One, and Hun-Gurrr. A damn shame we didn't end up seeing some of these pretooled heads at mass retail, especially Nemesis Prime since that was one cool headsculpt. Suppose that does explain the 'anomaly' that is PotP Inferno, however, given how he's such and oddball being a simplistic retool of CW Hot Spot as opposed to the completely retooled and 'reshelled' Hun-Gurr. 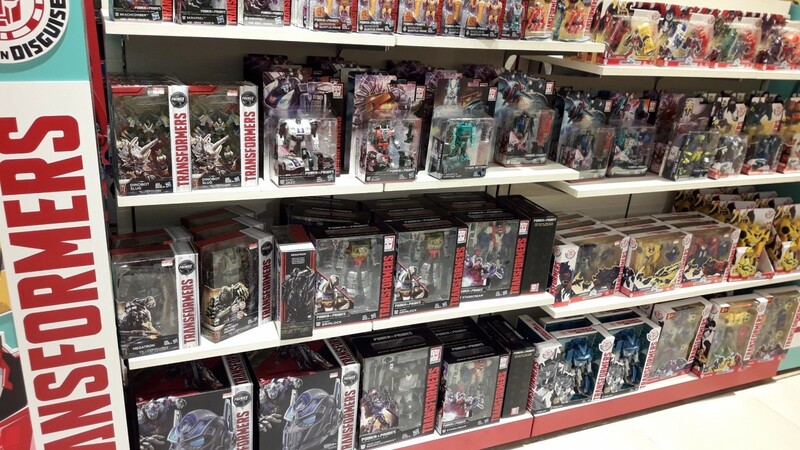 The third (and maybe final) wave of Prime Masters from Transformers Power of the Primes has been found in Thailand. This includes Bludgeon and Octopunch. 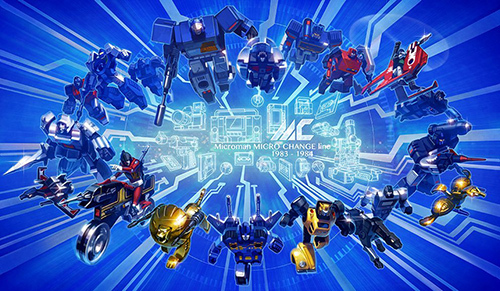 Now, while this seems early, it should be noted that the second wave of Prime Masters were never released in Thailand so far (and are very scarce elsewhere in the world if even found at all). So it could be that this is simply Hasbro filling out an order for Prime Masters and giving them whatever they have on hand, which so happens to be an earlier release of this third wave. These were found by AL PA POW who posted them on Google+. Wouldnt that be the same as a compeltely retooled Silverbolt? 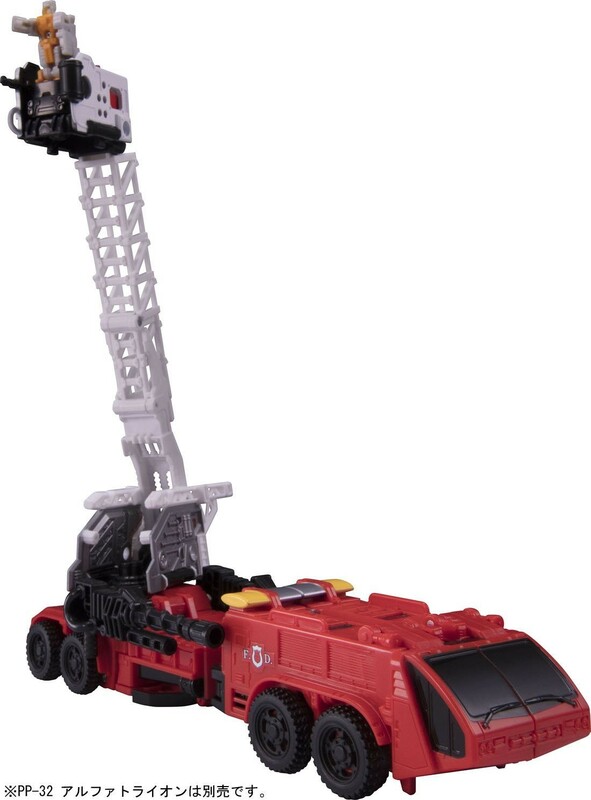 Also, it kinda makes sense that of all the torsos one would use for Inferno, it would be the one that turns into a "fire truck". FWIW these hit my local Meijer just this weekend. The last Submarauder and one of the last Landmines. Wolfman Jake wrote: Even if Inferno is a "holdover" from Combiner Wars that didn't see release until now, Hasbro still did a little bit to align this older mold with their newer design philosophy. Unlike any uses of the mold in Combiner Wars, Inferno sports the dreaded sticker details from the latter half of Titans Return and all of Power of the Primes to present. I suppose this was an extremely easy adjustment to make, unlike, say, remolding the figure to accommodate the Enigma of Combination play pattern of PotP Grimlock, Starscream, Elita One, and Hun-Gurrr. You know the Stickers are the one thing that really makes me sad about this line, especially when you look at Starscream and those two things on the sides of his head, because not only is it a sticker, it's not a flat surface for the sticker, so it's just kind of hanging off.